Cool grey tones within interior decoration are becoming increasingly popular as they can often encourage a more contemporary and fresher feel. 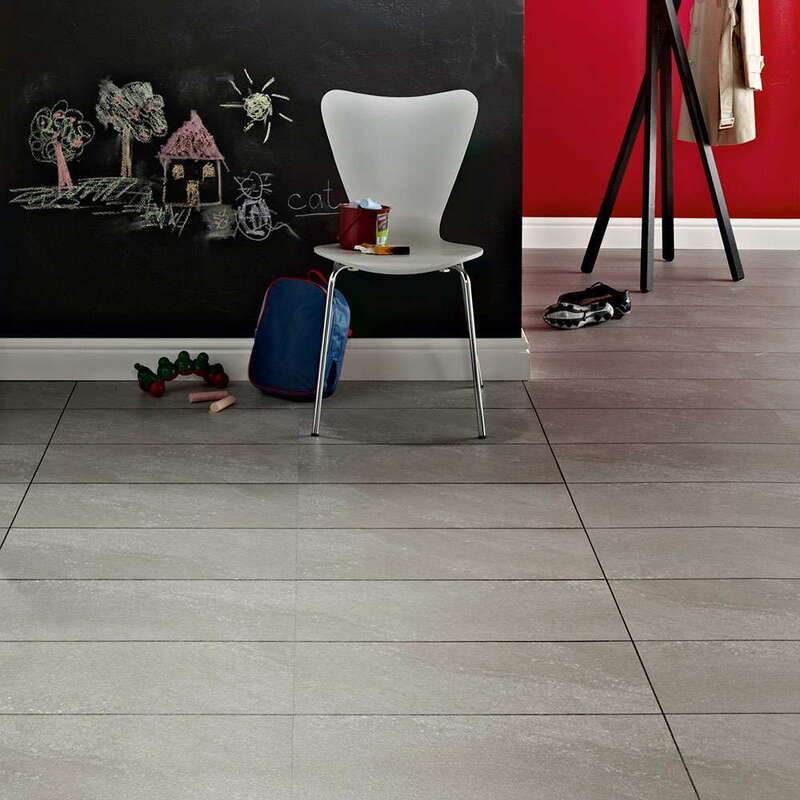 The clarity in sophistication is clear to see with Polyflor Colonia Balmoral Grey Slate 4534 Vinyl Flooring. The almost iced quartz-like secondary colour elevates the appearance to present a superior granite design. In the first image the strip displayed between tiles is Ice Grouting Strip. In the second image two tiles are laid together with Graphite Grouting Strip surround. Floor looks lovely easy to keep clean.Lovely colour nice an light an fresh looking. Ordered polyfloor tiles for my mothers kitchen. Looks really effective especially with the grouting strips. Good price & fast efficient ordering and delivery. Very pleased with speed of delivery and cost. Never fitted glue down flooring before but had to get glue down to achieve large tile effect in grey. A bit messy to fit but cleans up easily and looks great. Wife happy. Hi Jude, Absolutely, the design strips are entirely optional, and are only used to give the visual effect of grouting. Hi, I have a wood laminate floor in my kitchen which I hate. The room is too wide to have a vinyl floor and I wondered if this product could be laid on top of the laminate as I cannot remove it having had a new kitchen fitted on it recently. Also do you have fitters in the West Oxfordshire area? Hi Michelle, this floor can be installed over laminate providing that it's flat, level and clean. Please give us a call on 0800 999 8100 with regards to fitters. Hi, I already submitted a question regarding grouting. I have the vinyl flooring grouting strips, but not giving me the look I desire so was wondering if real grout could be used on this vinyl floor. 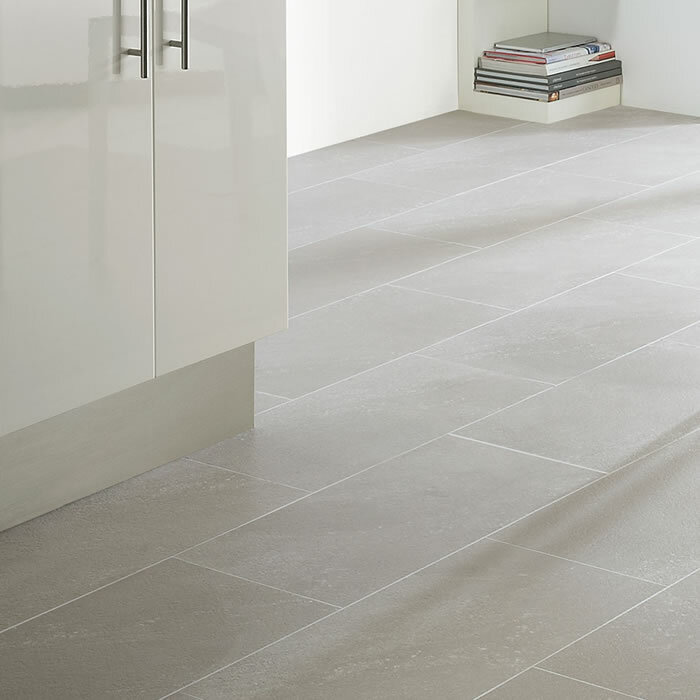 Read online that some vinyl floor can be grouted. Is this the case for this flooring? Good Afternoon Jacqueline No real grouting cannot unfortunately be used with this product. 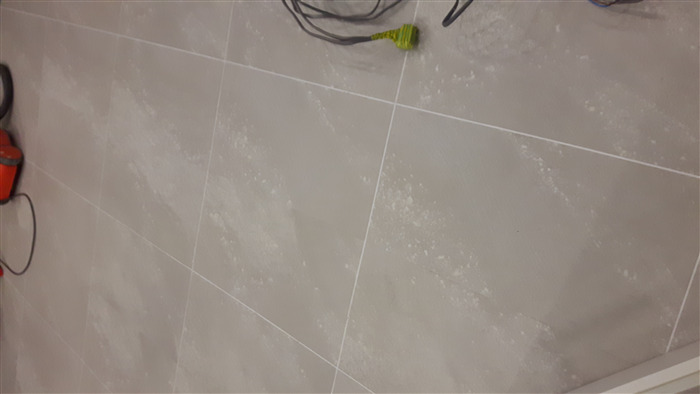 Hi, Can you tell me if the tiles can be grouted, with grout for vinyl tiles? Yes but the grout used is also vinyl (so an effect really) Here's all the grouting suitable for this flooring: https://www.flooringsupplies.co.uk/accessories/1/polyflor/design-strips,feature-and-metallic-strip/vinyl In the first image the strip displayed between tiles is Ice Grouting Strip. In the second image two tiles are laid together with Graphite Grouting Strip surround. Hi, Please can you tell me how many grouting strips I would need for approx 20sqm of flooring. Thanks. For the Polyflor Colonia Balmoral Grey Slate 4534 you require for tiles sizes 305mm x 610mm 18 strips per box of flooring purchased. You require 6pks (20.04m2) of flooring so need 108 feature strips these come in 50 lengths per box meaning all in all you require 3 packs of the feature strips. Can this vinyl be used with underfloor heating? You can use any of our vinyl floors that we offer with underfloor heating however, please as always refer to the manufacturers recommendations.